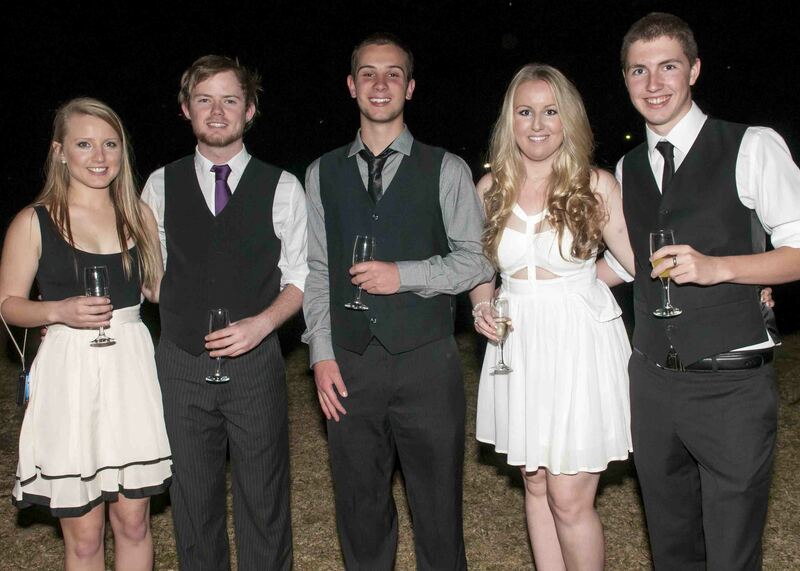 At Earle Page College we offer an abundance of social events that bring the college together and allow time to wind down from your busy study schedule. 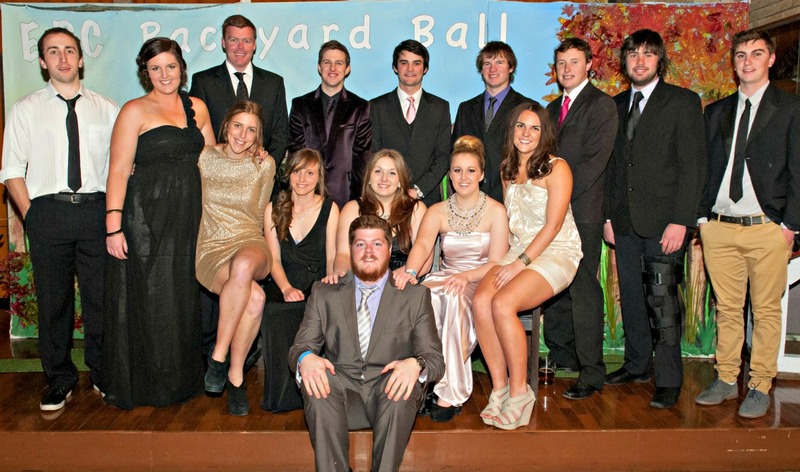 Events such as formal dinners, pub nights, themed events, floor camps, day trips, floor sports, and ad-hoc socialisation among friends all allow Earle Page College to have such a strong social culture, which is vital for a college of around 250 people. We provide the best college experience through a culmination of contributing factors, however the social events of Earle Page College ensures an outlet from studying whilst having unimaginable amounts of fun with your friends in order to achieve the perfect balance of college life. In addition to the JCR events that are run throughout the year, we hold weekly pub nights once a week. Every pub night has a different theme. 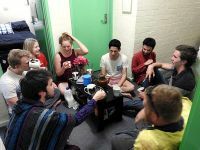 Every year, one of the pubs in the town of Armidale provides the college with sponsorship and in response we go to the pub as a college and have a good time. This allows us, as residents of the college, to have one night out a week and have time to relax, whilst positively contributing towards the community through supporting local businesses. Every year, each floor at college goes on ‘floor camp’. Floor camp goes for a weekend closer to the start of the year in Trimester 1 and this allows the floor to have a chance outside of college to bond and make friendships. We have a very strong floor culture here at Earle Page College, so the time spent way at floor camp is of immeasurable value and brings a whole lot of fun to the floor for the rest of the year. 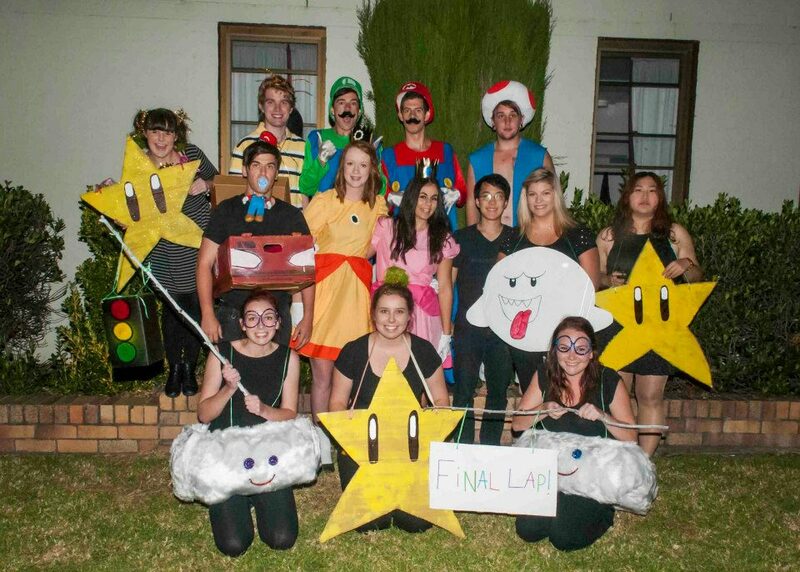 Despite all of the more formal and organised means of socialising that occur at college, there are always people out and about to spend time with and have a lot of fun. No matter what time of the day it is, there is always someone around who is willing to go chuck a football around on the front lawn, or hang out in our exceptional common rooms. Catching up with friends over a cuppa is a valuable past time at EPC . A simple concept ….come along and share a hot cup of the good stuff (we actually use fancy teas and even use teapots collected by residents, not just your average Lipton’s bags! ), share some stories, and have a proper laugh. Tea at EPC is absolutely unique to us. You won’t find this tea-drinking pastime elsewhere. We love our sport at Earle Page College. Friendly front lawn sport competitions are ingrained in our College culture. Our spacious grounds are regularly the venue for spontaneous games amongst friendsYou can participate in all inter-collegiate sports including athletics, touch football, tennis, AFL , soccer, volleyball and rugby. Many of our College teams affiliate with local sporting competitions including water polo, netball, soccer, rugby, volleyball and basketball. 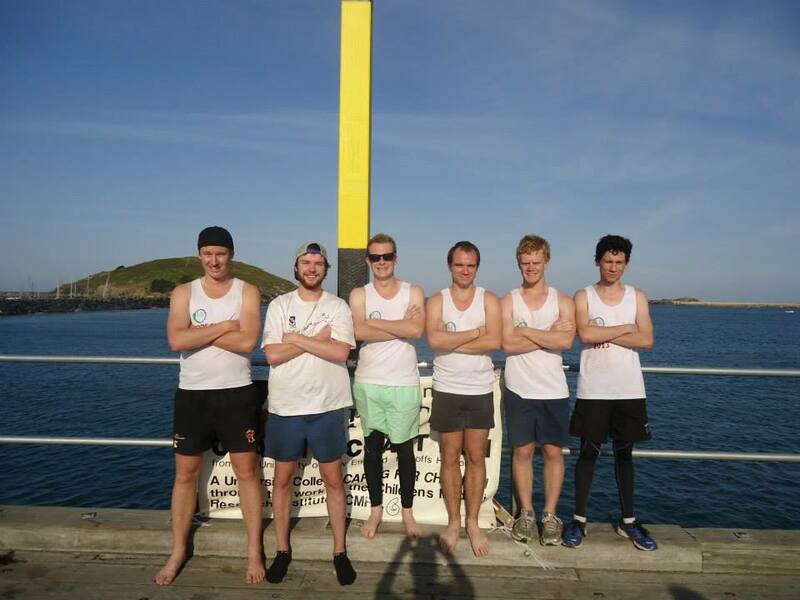 Floor sports is a project run by our Coast Run committee. Coast Run is an event which involves participants to run from Armidale to Coffs Harbour over one weekend in order to raise money for the Children’s Medical Research Institute. Floor sports is run on an afternoon some weeks and involves different floors of our college versing each other in a friendly competition on our front lawn in the afternoon sun. We often play sports such as volleyball, dodgeball, soccer, netball, ultimate frisbee and touch football on our front lawn, regardless of the weather! Coast Run Goes Bush An autumn event that involves a morning of running a designated course around the college campus to raise much-needed funds. Front Lawn Sports An inter-floor sports competition completed through the college year conducted on the front lawn before dinner. In 2016 Top A were victorious in taking out the Coast Run Cup. across a 220km course to the Coffs Harbour Jetty. This is an excellent opportunity for students to combine sporting and community pursuits, and to be involved in a noble college tradition. Earle Page College is a strong contributor to the performing arts on campus. We encourage everyone to have a go and join in with college performance. You don’t have to be a star, just keen to have fun. We have been successful in winning the Sir Frank Kitto (SFK) intercollegiate cultural competition for 11 of the past 12 years, an achievement of which we are very proud. With a number of talented students residing at EPC , our annual ‘Arts Dinner’ involves each floor dressing to a theme and decorating their dining tables accordingly. Residents compete individually, as groups and as floors for awards on the night. 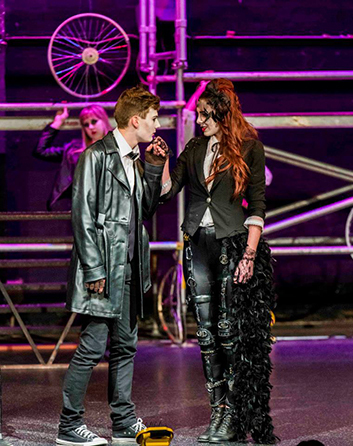 Earle Page College is the only residential college at UNE to stage a different musical production each year. The musical is a fantastic opportunity for residents to get involved regardless of their cultural ability. Residents who have talent in areas of singing, dancing, performing, stage managing, stage lighting, costumes and hair and makeup are encouraged to get involved. Students at Earle Page College are encouraged to look beyond the college environment and get involved in our high profile community activities. Since 1980, Earle Page has conducted an annual charity fun run from Armidale to Coffs Harbour in aid of the Children's Medical Research Institute. To support this fundraiser, our students also host a Parents’ Weekend Auction, community Fashion Parade and numerous college events. Since 1980 we have raised over $500,000 for the Children’s Medical Research Institute. The Earle Page Annual Politics Dinner an annual event of regional significance, open to the community. A well-known politician or political commentator delivers a public lecture at the event. Past speakers include: Tony Abbot, Joe Hockey, John Howard, Julia Gillard, Peter Garrett, Philip Ruddock, Alexander Downer, Bob Brown, Natasha Stott-Despoja, Penny Wong and Barnaby Joyce. 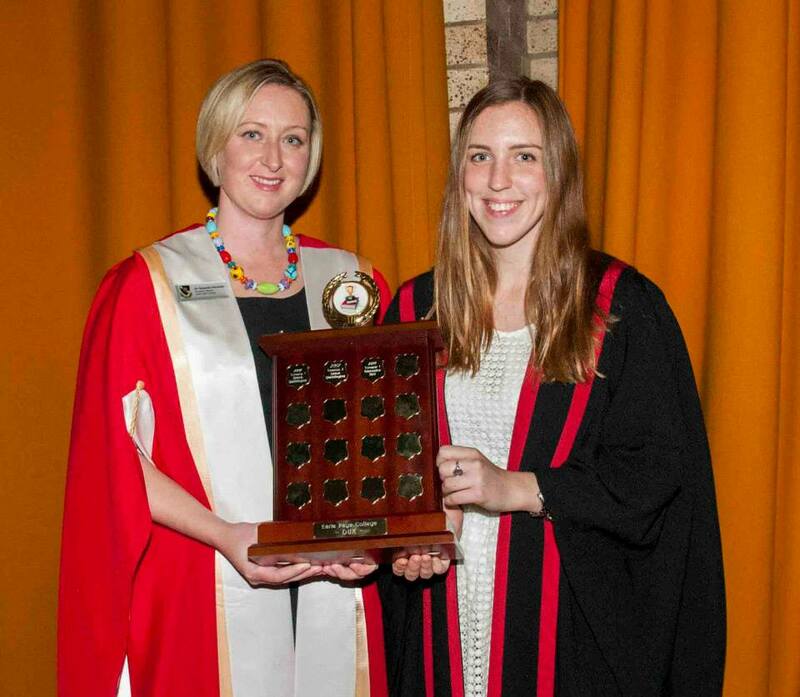 The College is also involved with local community projects such as Australia's Biggest Morning Tea and donations to the Australian Red Cross Blood Service. To help you achieve your academic best, we organise activities to support and enrich all residents' educational experience. Academic Mentor Team affectionally known as ‘Accies’, our Academic Mentor Team are Earle Page residents who have achieved strong results in their studies and are available to assist you with first year subjects. The ‘Accies’ are supported by our Senior Academic Mentor and Head of College. Workshops The team organises activities to support and enrich your educational experiences, such as workshops in study skill techniques, essay writing, scientific/mathematic literacy and examination preparation. Tues-2-Study Every Tuesday night, students are encouraged to come to the dining hall for a quiet evening of group study with Academic Mentors and Senior Common Room members who offer support with your work. Two weeks before exams and during the exam period a noise curfew is enforced at the College to ensure a studious environment is maintained. Parents' Weekend Dinner Trimester 1 academic achievements are acknowledged. Awards include High Distinction medals, academic average achievement certificates and the coveted Dux of the College and E=PC2 Awards, the latter being for the highest academic performance by a Floor. Leaving home is often difficult. Earle Page College ensures that our residents are well looked after and our College Staff and Resident Fellows are always on hand for support. Our Senior Resident Fellow (SRF) and Resident Fellows (RF) work with the College Head to provide our residents with a high level of pastoral care. An RF is allocated to each floor and focus on developing the floor culture and ensure you become part of the floor ‘family’. We are unique in that each floor has its own senior leadership team, consisting of a welfare, academic and social rep, all of whom have undertaken extensive leadership and welfare training. At the beginning of each year, floor leaders organise their own floor camp to help build collegiality on the floor. At Page we understand the importance of wellbeing. There’s no pressure to take part and it isn’t all about being active, we also provide activities for emotional wellbeing and safety. Our Health and Wellbeing Officer helps to keep things balanced, running activities throughout the year, including regular block walks, self-defence classes, workout sessions, and meditation groups. They’re a lot of fun and a great chance to clear your head and have a break from study with your mates!